One of the first questions that comes to mind when we hear about diabetes is – can you actually prevent it? You cannot prevent type 1 diabetes as the cause is genetic. But preventing type 2 diabetes, or at least delaying it, is not impossible. All it takes is healthy living, keeping your blood sugar and A1c under control if you have a family history of diabetes and getting plenty of exercise. In fact, there is even talk of reversing type 2 diabetes today. 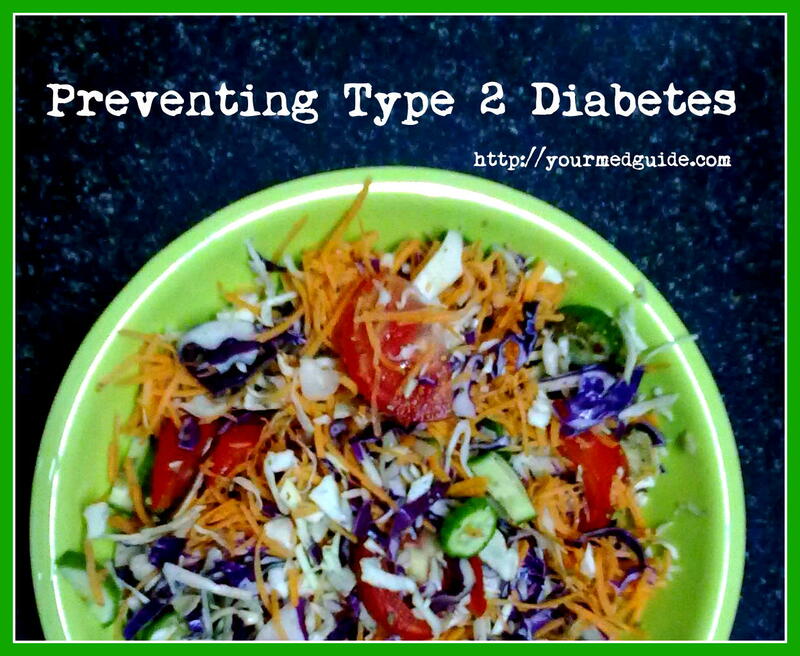 Here are some tips to help you keep type 2 diabetes and pre-diabetes at bay! These tips will help you move more, make healthy food choices, and track your progress. Drink a large glass of water 10 minutes before your meal so you feel less hungry. Keep meat, chicken, turkey, and fish portions to about 3 ounces. Order one dessert and share it. Use teaspoons, salad forks, or child-size forks, spoons, and knives to help you take smaller bites and eat less. Got kids? Show them all those dance moves you practiced when you were their age. Play with them. One thing I love to do is turn up the music and groove to it as I tackle housework. Some time back, one of the breakfast cereal companies offered a free Yoga DVD and later, a workout DVD that I find fun to watch and move with! Rather than call, email or courier something, go over and deliver it. Use the stairs whenever you can and as far as you can and use the elevator the rest of the way. Invite your friend over for a walk, rather than catch up on the phone. Spot jog when you watch TV. Or march. Or spot-cycle. Whichever works for you. Enjoy shopping? Walk around your local mall. Window-shop! Leave your purse at home. Get off the bus a stop ahead or park your car away from your workplace and walk the rest of the way. Cut back on high-fat foods like whole milk, cheeses, and fried foods to reduce your fat and calorie intake. On a budget? Shop frozen, low-salt canned veg that you can store. When on the go, eat healthy by opting for a big veg salad when you eat out. Wrap what you can’t finish. Try to choose water rather than juice or soda. Include whole grain in the diet every day. Examples are whole wheat bread, brown rice, oats, and whole grain corn. Snack healthy on fresh fruit, a handful of nuts and whole grain crackers. Don’t shop on an empty stomach. Eat a healthy snack before you leave. Before you go shopping, make a list of what you need. This will avoid impulse buying. Maintain a food journal to track whether you are eating healthy. Avoid impulse eating. Which means not eating when you are bored or upset. Make it a habit to read food labels. 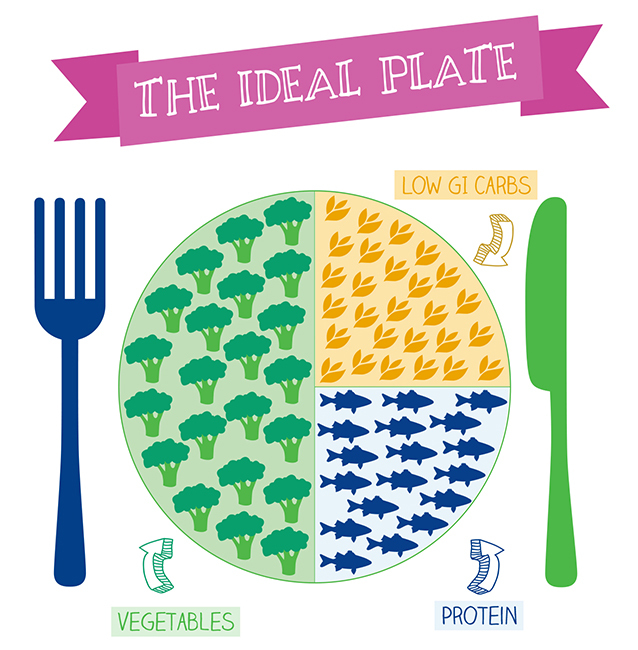 Go for foods lower in saturated fats, trans fats, cholesterol, calories, salt, and added sugars. Relax. Try deep breathing, walking, listening to your favorite music. Enjoy a book or a long bath. Try meditation. Stress is one of the causes for type 2 diabetes. 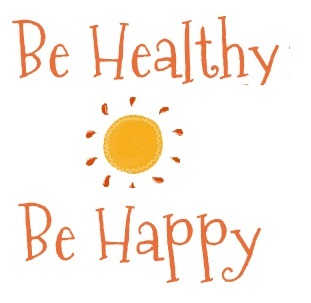 Preventing type 2 diabetes is easy by making healthy food choices, staying at a healthy weight and moving more each day! Day 16 of the Blogging from A to Z Challenge. P for Preventing Type 2 diabetes. I’ve registered for the 2014 Reversing Diabetes World Summit from May 5 to 16, 2014. Interested? You too can register here. It is free. Very useful and informative post ! thanks for sharing !